The West Country certainly has its fair share of folklore, and what better way to while away the dark winter evenings, than sat by the fireside swapping spooky tales of strange goings on and mythical creatures. So, we thought that if you’re planning a visit it might be helpful to give you a quick guide so that you know your piskies from your knockers, and the hairy hands from the hell hounds! Pixies, or “piskies” as they tend to be known in Devon, come in many a guise. They seem to be concentrated in the higher moorland areas and are apparently drawn to horses, which may explain their association with Dartmoor. Generally, they are described as short, mischievous and childlike, but they can be either friend or foe to us humans. Stories range from pixies being the reliable house-help of widows, to being nasty child snatchers. Knockers (Devon) or Buccas (Cornwall) are some kind of relative of the Pixie, but are recognisable by the miner’s outfits they wear. Living underground, they were said to steal unattended tools and food from human miners, and got their name from the knocking sound heard just before a cave-in. It is unclear though whether these little creatures were friendly or not. Many believe that the sound was the knockers trying to warn miners so they had a chance to escape, whilst others felt the knockers were deliberately hammering at the wooden mine supports actually causing the collapses. At the far end of Cornwall, in West Penwith, they have their very own pixie/fairy-like creature, known as the Spriggan. Generally depicted as grotesquely ugly, they were said to be found in old ruins and barrows guarding buried treasure. Of poor disposition, they sent storms to blight crops and stole mortal children replacing them with ugly changelings. They certainly don’t sound like very desirable neighbours, and luckily there haven’t been any sightings in a long while! The Puck, by contrast, could be a more favourable companion. This mischievous sprite/fairy could cause trouble such as souring the milk on your farm, but equally, if treated well, Puck might do housework or fine needlework for you. Pucks were also thought to be lonely creatures who often wanted nothing more than to make friends. So bear that in mind if you come across one on your holiday. The success of Cornwall’s fishing industry has led to a reduction in Mermaid sightings in recent years. As a county surrounded on 3 sides by the sea, it is unsurprising that mermaids feature in the folklore of Cornwall. The most famous is the Mermaid of Zennor, who was mesmerised by the wonderful singing voice of a local young man, Matthew Trewella. Legend has it that she would wear a long dress to hide her tail and walk awkwardly to the church each night to hear him sing. She too had an enchanting voice and eventually their eyes met and they fell in love. Knowing that she could not survive out of the water, Trewella carried her back into the sea and was never seen again. Allegedly, on his death record it says that he was “lured to sea by mermaid”. The mermaid of Padstow is another Cornish fishy tale. Padstow was once a thriving and busy port, but according to local hearsay, a single mermaid was responsible for its decline. Sailors along the North Cornwall coast are well aware of the treacherous rocks and cliffs, and it was long believed that the Padstow Mermaid would accompany vessels safely into the harbour. However, this all changed when a young man took a fancy to her as she combed her flowing locks on a nearby rock. Hypnotised by her beauty, he asked her to marry him but she refused, and he was so incensed by this rejection that he shot her. In her dying rage the mermaid cursed the harbour, vowing it would become desolate, and from then on a large sand bar began to form. The dangerous sand bar which lurked perilously beneath the waves became known as the Doom Bar. The Doom Bar still exists today, allowing vessels in and out of the harbour for just a few hours on either side of high tide. 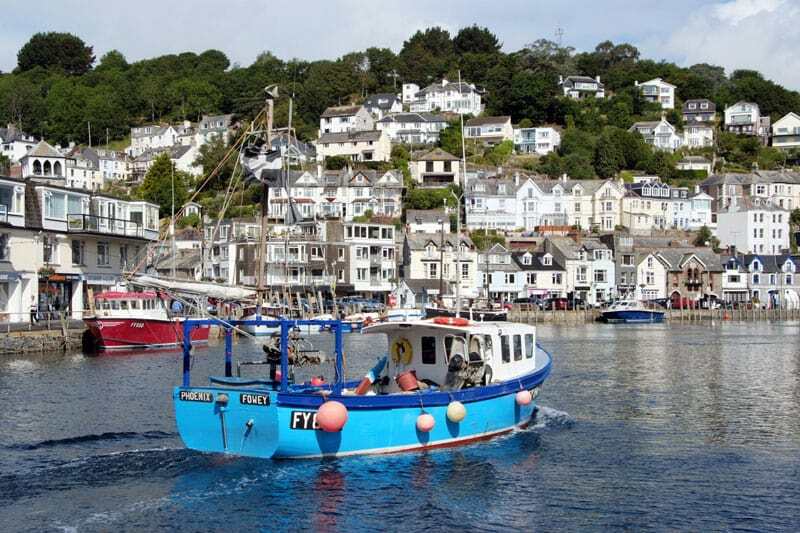 For those who visit Seaton, between Looe and Downderry on the South Cornwall coast, it is worth remembering that this was allegedly once a thriving fishing town until a mermaid was mistreated by a local fisherman. Disgruntled, she is said to have cursed the town to be swallowed by the beach. It’s not all bad though as it means that there’s now a large expanse of sand to run around and relax on during your holiday! You’ll come across several other stories of mermaids luring fishermen and sea farers to their watery graves around the Cornish coast. These grim tales generally seem to imply that if you do come across a mermaid on your travels, then make sure you treat her well! What legends lie beyond this misty trail? Cornwall is synonymous with the legend of King Arthur, who led the defence against Saxon invaders in the early 6th century. Said to be the birthplace of this famous King of England, Tintagel Castle in North Cornwall is steeped in both history and mystery. 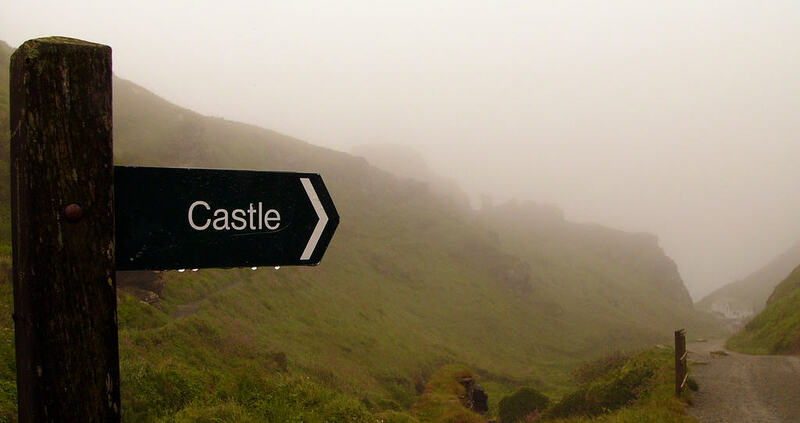 Beneath the remains of the castle is Merlin’s Cave, named after Arthur’s resident wizard. Then heading further south, you can visit Dozmary Pool on Bodmin moor. This “bottomless” pool is believed to be home to “The Lady of the Lake”, and where Arthur rowed out to pull the mighty sword, Excalibur, from the stone. After his death, a Knight of the Round Table, Sir Bedivere returned Excalibur by throwing it back into the depths. There are plenty of other Arthurian sites to visit around the Cornwall, so if you love tales of adventure and magic, you’ll be sure to find a plethora of them here. If that’s whetted your appetite for peculiar creatures and odd happenings, watch out for Part 2 of “Piskies, Pucks and other strange goings on” where we’ll be taking a look at some scary and hairy stories centring on Dartmoor National Park. Image Credit: Flickr – Tintagel Castle, robertpaulyoung.